Our line of expertise spreads out to the area of Large Format Printing (LFP) holding advanced certifications for HP DesignJet Production Specialist – DPS. The DPS specialization is awarded to an elite list of HP partners around the globe and Lasercharge is the exclusive HP partner in Cyprus having earned this prestigious HP certification. As a leader in large-format printing, HP delivers cutting-edge technology built specifically to help design professionals do their jobs with ease and excellence. Our line of expertise spreads out to the area of Large Format Printing (LFP) holding the certifications of HP Designjet value specialists and HP DesignJet Production Specialist –DPS. The DPS specialization is awarded to an elite list of HP partners around the globe and Lasercharge is the exclusive HP partner in Cyprus having earned this prestigious HP certification. 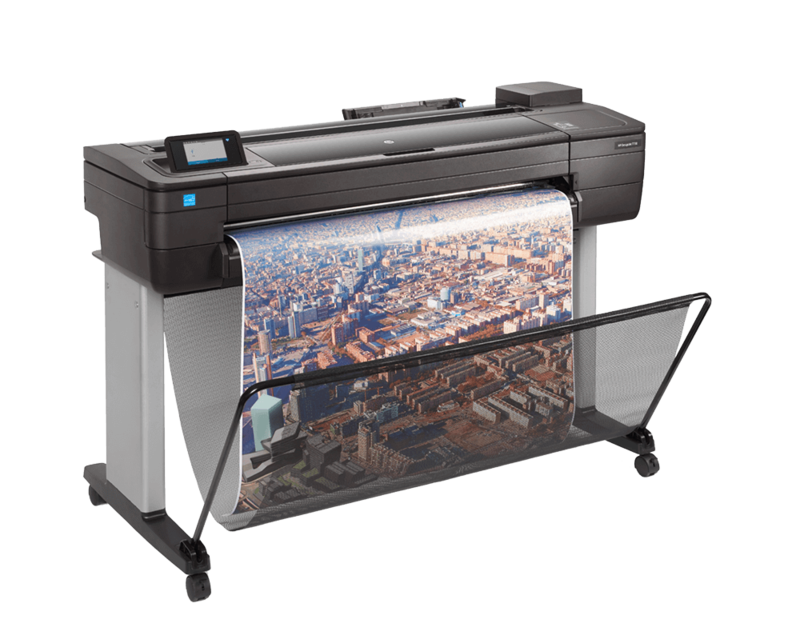 HP Designjet products offer high speeds, high-quality output, copy and scan capabilities, and web-connectivity features that allow professionals to access and print projects from wherever work takes them. These printers are ideal for individual or multiuser environments, delivering high-quality applications, from black and white CAD drawings to color outdoor presentations. Whether advising architects, engineers, copy shops, repro houses, photo professionals or graphic designers, our team of experts can recommend the most appropriate solution so that you can maximize productivity by expanding the unattended printing window and minimizing the print job preparation and proofing time. Furthermore, we can help you take advantage the new web-connectivity and sharing features that come along with your Designjet. Regardless if you are interested to buy or you are an existing owner of an HP Designjet, we can offer you cost effective and flexible support packages so that you can safeguard your investment and extend the uptime of your devices.